Do you know that every family chops down three trees a year using store bought bathroom tissue made from virgin pulp? This is an amazing 98% of the bathroom tissue on retail shelves! This same tissue is bleached with chlorine and many consumers are not aware that these chlorine derivatives can get in the system This is not good for your health, and it is costly to the planet. WHOLEROLL is 100% organic. It is not whitened with chlorine bleach. It is whitened using natural elements of oxygen, hydrogen and peroxide. WHOLEROLL is made from an all natural organic pulp which contains natural healing properties. These properties found in the all natural pulp aids in the cleansing process and promotes healthy skin. People always question if environmentally friendly toilet paper is soft. WHOLEROLL is one of the softest toilet papers on the market. The unique nature of the organic pulp creates a one of a kind silky soft texture that feels like organic cotton that is absorbent and strong. WHOLEROLL is BPA free and no chlorine bleach is used to soften and whiten the tissue. It is a 3ply tissue with the softness of a high quality 2ply, but 5 times stronger and more absorbent. 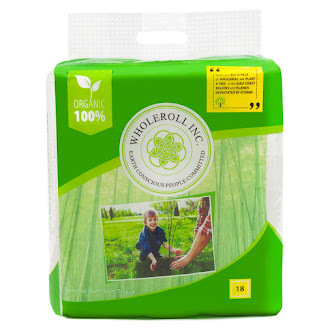 WHOLEROLL comes in a beautiful sturdy package that does not have to be hidden like other tissues. A handle is included on the packaging which makes carrying more convenient. Users can store it conveniently since it is compact and does not take up a lot of space. The days of walking around in stores while carrying bulky packs of toilet paper are no more with WHOLEROLL. 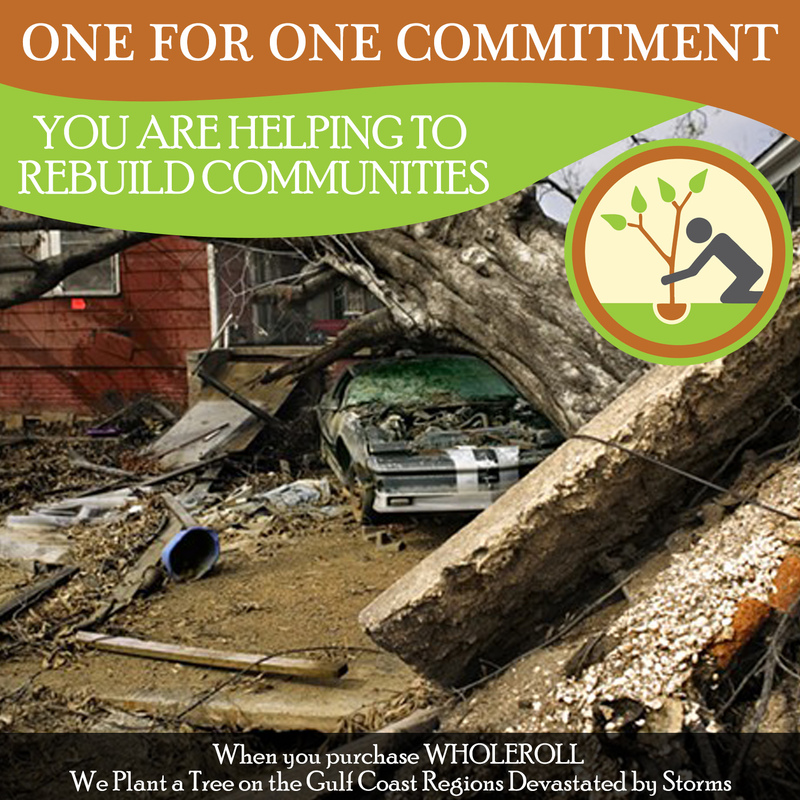 For every package of WHOLEROLL purchased, a tree is planted in the Gulf Coast Regions which have been devastated by storms in order to help rebuild those local towns and communities. It can take decades to truly rebuild communities. In the case of future storms, the trees planted by vWHOLEROLL in partnership with The Arbor Day Foundation will help absorb flood waters and intercept rainfall which will benefit the communities. WHOLEROLL tissues are next generation tissues. How? It is is made without cutting a single tree down. This helps to ensure that the trees remain in place to help combat climate issues which will benefit the next generation.. Because of this WHOLEROLL is a long-term sustainable solution that helps to preserve the planet. There are no trees cut down to make WHOLEROLL. Unfortunately, it takes 20 years for a tree to reach full maturity, and then it is cut down by manufacturers to make virgin pulp tissue. 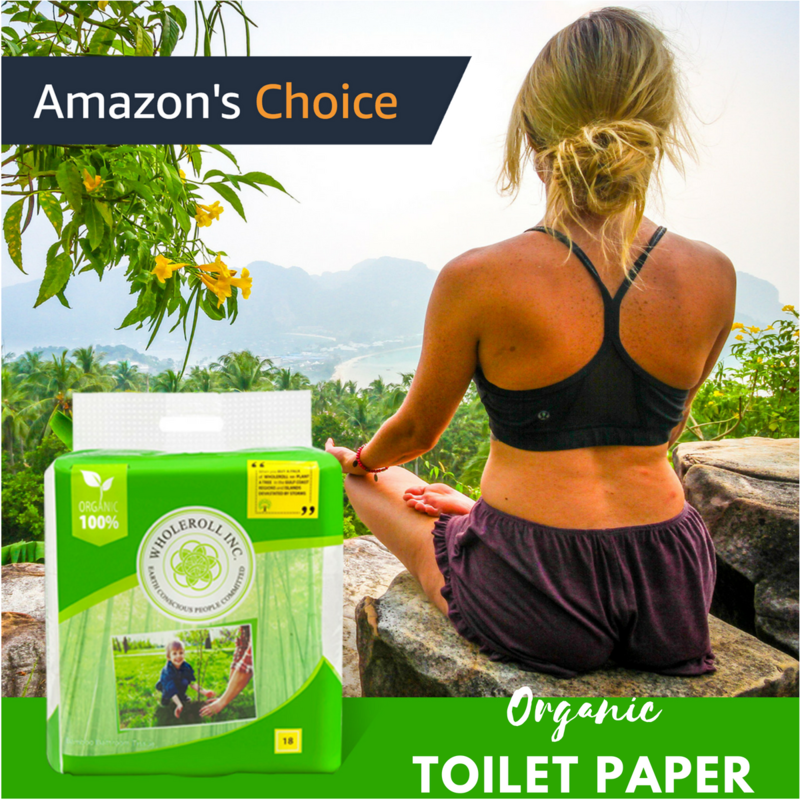 The organic pulp used to make WHOLEROLL is the best alternative because it grows 20 times faster than trees and can be replenished every two years. No need to worry about chlorine with WHOLEROLL. WHOLEROLL is 100% chlorine free. In order to whiten and soften the tissue natural elements are used. There are several other environmentally friendly products on the market. Many people use recycled toilet paper which is a decent ecofriendly choice, but has the potential to contain BPA(Bisphenol-A) from the recycled papers used to make it. There is zero BPA found in WHOLEROLL. It is a 100% natural product purely sourced from bamboo. No need to worry about your septic tank. WHOLEROLL is septic tank safe. WHOLEROLL sheets are a 1/4 inch longer than the standard retail sheets that average 4 inches. These are the top 10 reasons to use WHOLEROLL, but there are even more reasons not named. This organic pulp from bamboo is plentiful and resourceful. There are species that can survive winter weather up to -20° F and still grow again in the spring during the normal germination periods. It can be found in places that are tropical, sub-tropical, or temperate zones such as places like Southeast Asia, South America, and the Southeast portion of the United States. This organic pulp is in abundance and is the now and the future of toilet paper. It is better for the planet, the ecosystem and its inhabitants. I used to buy my yoga accessories from my nearby shops, but their quality was not good at all. 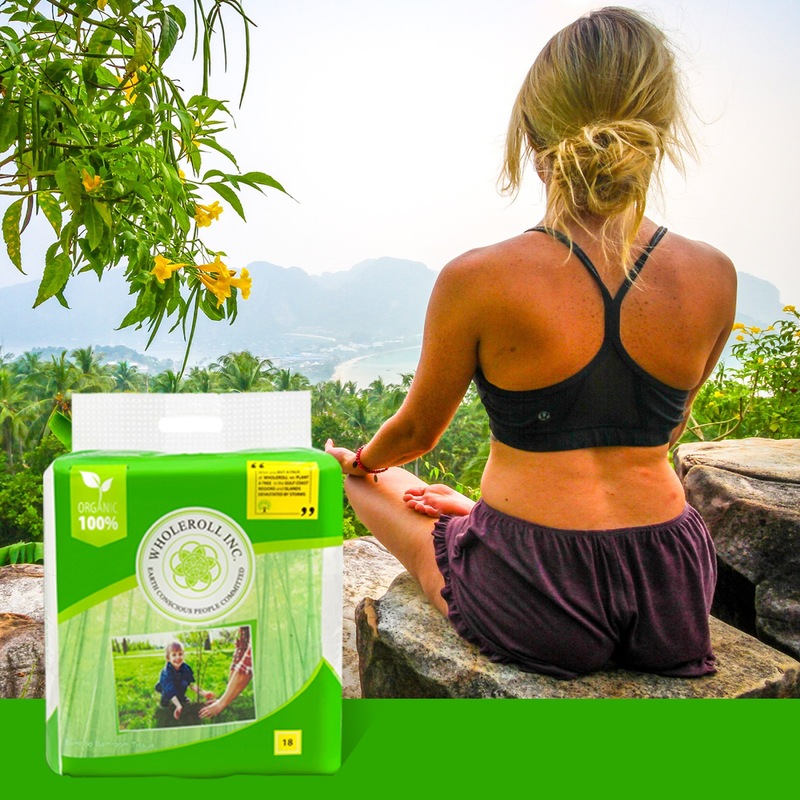 I started purchasing good quality yoga accessories, they provide premium quality products within very reasonable price and they do ship for free worldwide. They also have return and refund policy, which is really good.